What does this image mean? 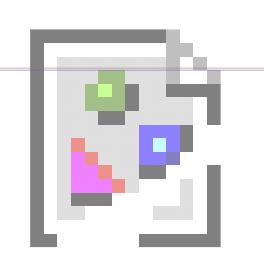 I’ve noticed, that this image appears next to some glyphs when i’m editing them. What does this mean? This means that you placed an image and the image is no longer there.